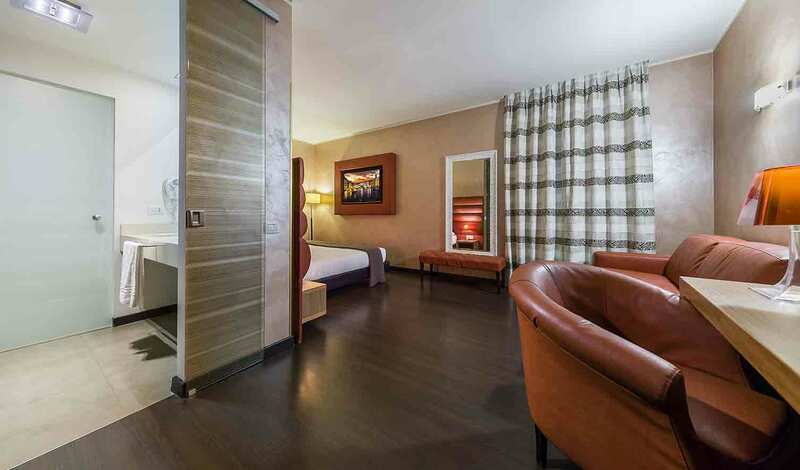 A touch of exclusivity for your stay. An elegant private lounge for meetings or moments of relaxation, a large sleeping area with a unique style for a comfortable night’s sleep, a Jacuzzi and a Turkish bath for relaxing alone or in company. 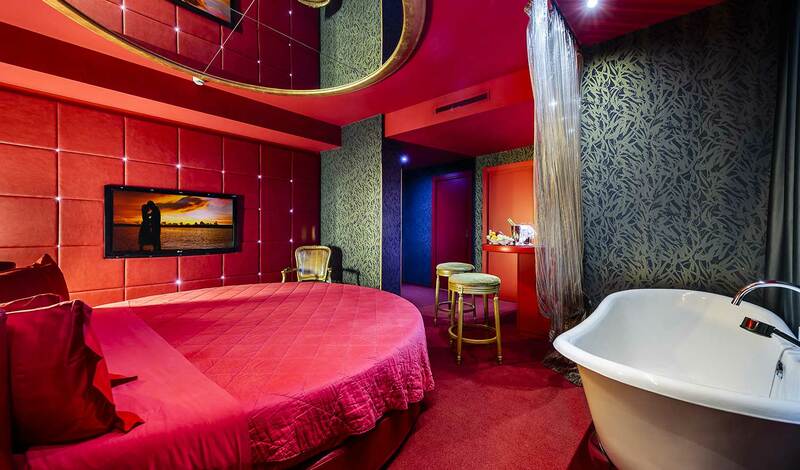 Abandon yourself to a voluptuous escape for two in the total privacy of the seductive Love Suite. Discover the splendid open tub, try the luxurious Empire style sofa, be enchanted by the round bed and the splendid mirrored ceiling. For a romantic surprise, for a unique event or simply when you feel like spoiling yourself, the Romantic Suite is the ideal solution. Thanks to its warm, refined charm, the round bed and the whirlpool bath, this suite forms the perfect backdrop for your romantic escape. A comfortable luxurious solution means that there’s no need to sacrifice relaxation, even during business trips. 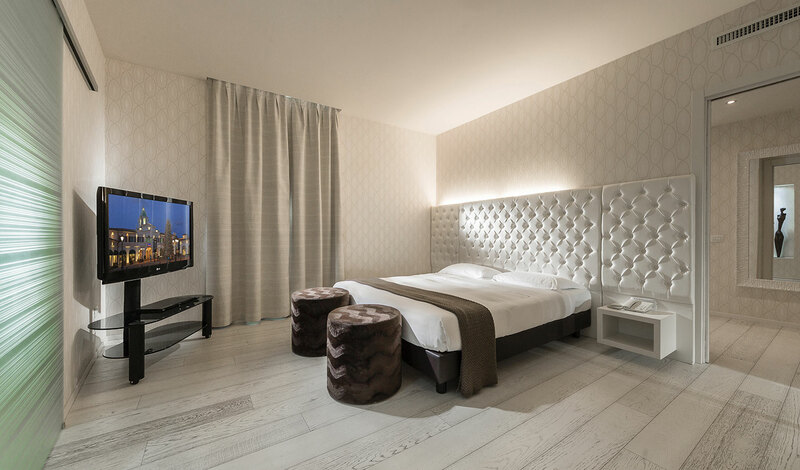 Base hotel has created a welcoming and spacious environment enriched by a hydro-massage bath and a small lounge, ideal both for working and relaxing. 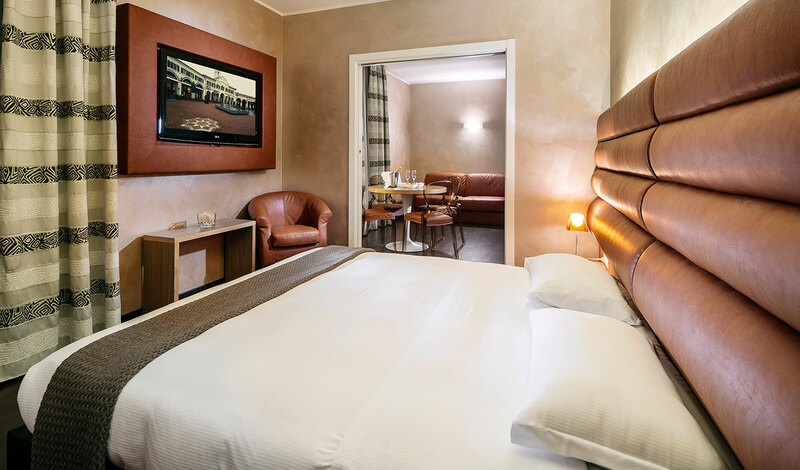 Enjoy a relaxing stay in this beautiful, spacious room, featuring a comfortable sofa and a large, well-equipped bathroom. Discover a place where you can relax; good-sized quality environments where you can unwind and feel at ease. 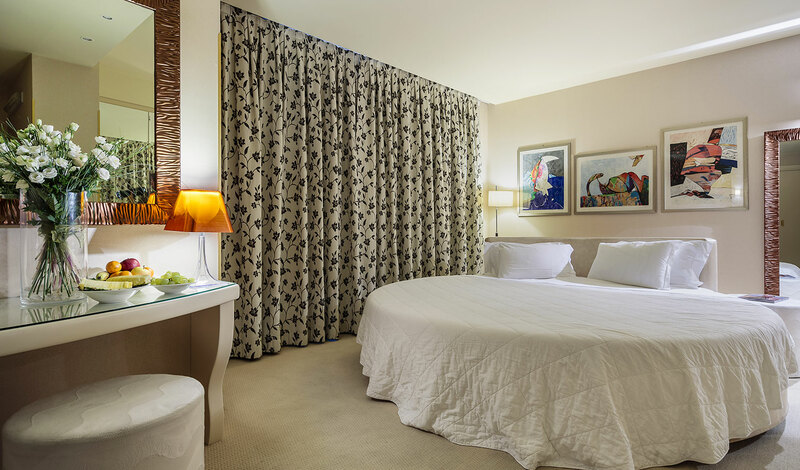 The rooms feature a range of different colours and classic, tasteful furnishings.